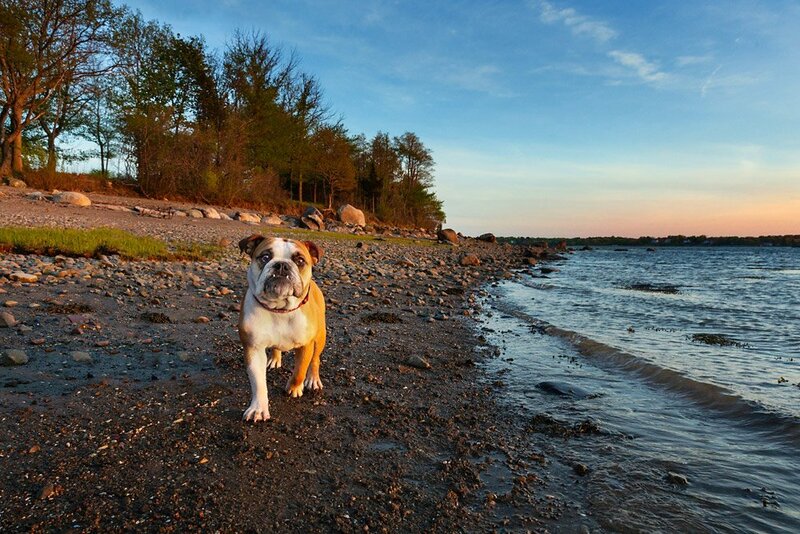 I met Chickie the Bulldog at one of my absolute favorite places – World’s End in Hingham, MA. 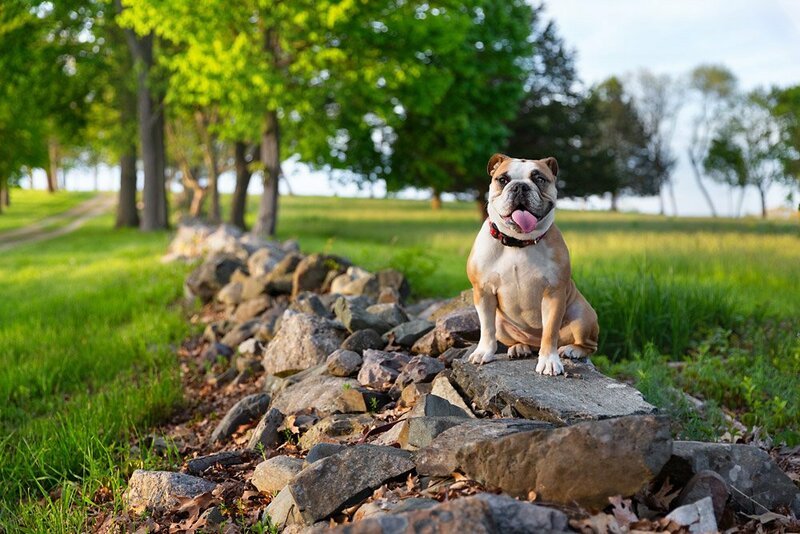 Of course, the only thing that could possibly make these grassy fields and rocky shorelines more picturesque is a happy, wiggly Bulldog! 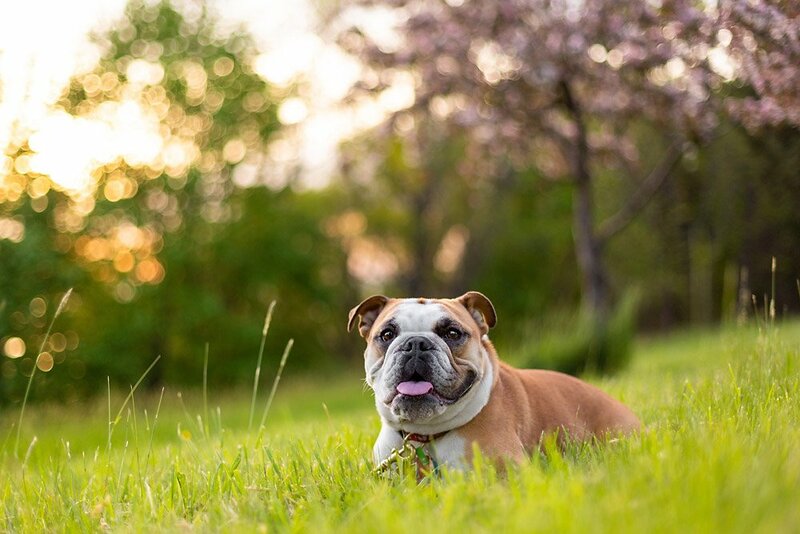 Chickie has a personality just as big as you would expect, and she was such a star for her photos. We started her adventure by exploring the park’s trails and fields. We found the perfect grassy spot just as the sun was starting to come down through the trees. 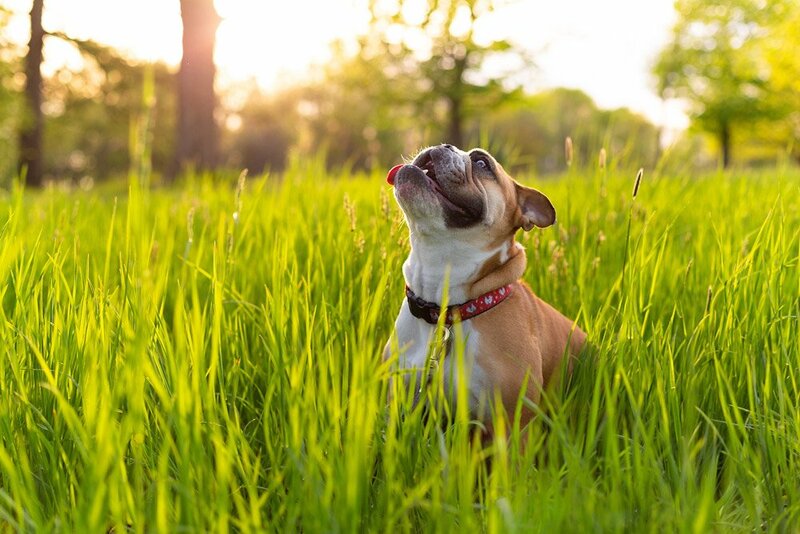 I loved the light, but I’m pretty sure Chickie’s favorite part was chasing her toy through the tall grass! Doesn’t she have the best smile? As the sun got even lower, we went down to the shore to play by the water. 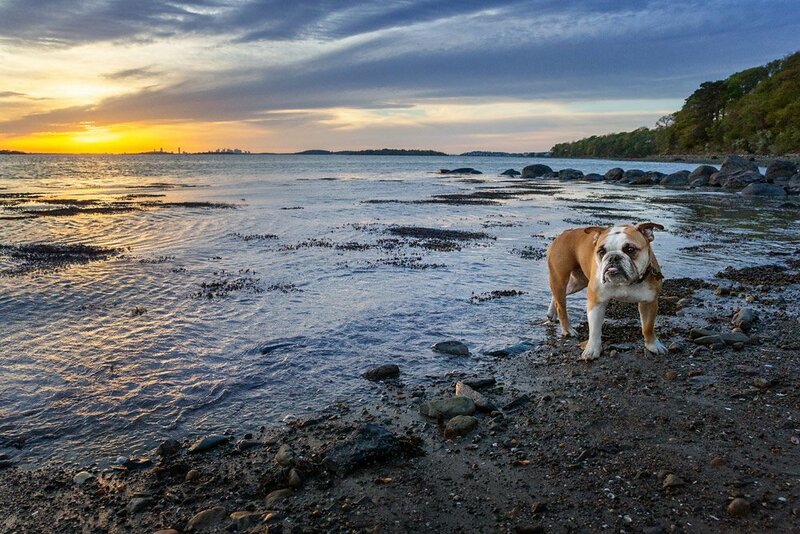 We had the whole beach to ourselves, so we took our time enjoying the sunset over Boston’s skyline. I just can’t get enough of Chickie’s cute little snaggle teeth! She really is the most adorable, sweetest pup (but shhhh, don’t tell my dog I said that! Of course, I love him too). 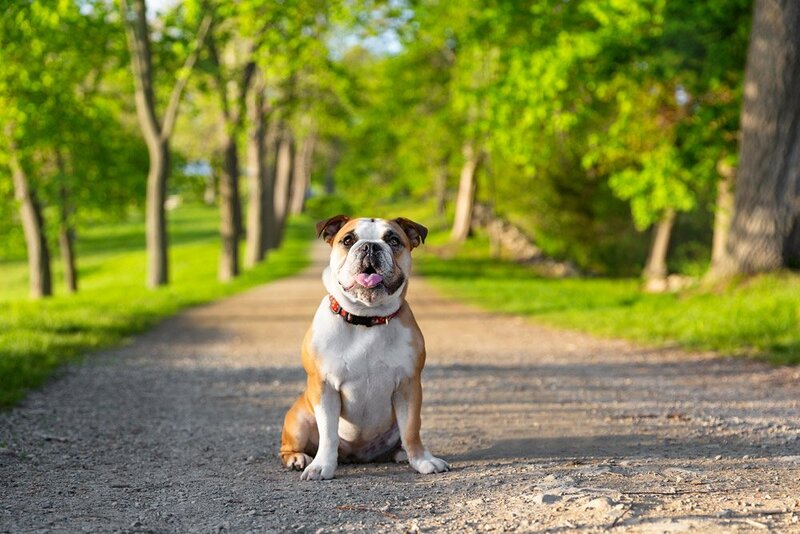 Would you and your dog like to come with me on a World’s End adventure? 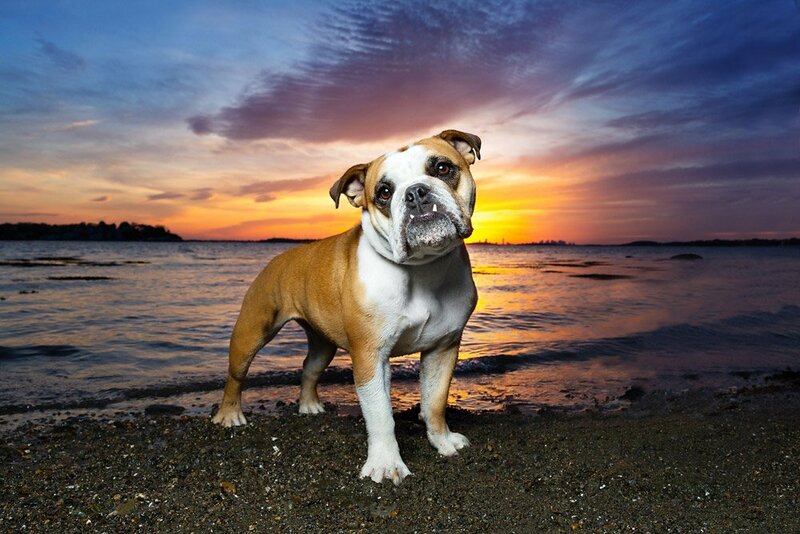 Contact me and we’ll schedule your dog’s shoreline adventure!